Represented by distinct grand colonnades, this retail strip reflects an upscale, urban neighbourhood. It’s a mosaic of the best local and international retail/lifestyle operators, each providing year-round shopping and leisure, from boutique-style shops to department stores and convenience shops. The energy of the avenue is alive from early morning to late at night and will provide users an all year-round shopping and leisure experience that encourages community growth and neighborly interaction. It will be the Centre for lifestyle, wellbeing and grocery needs. 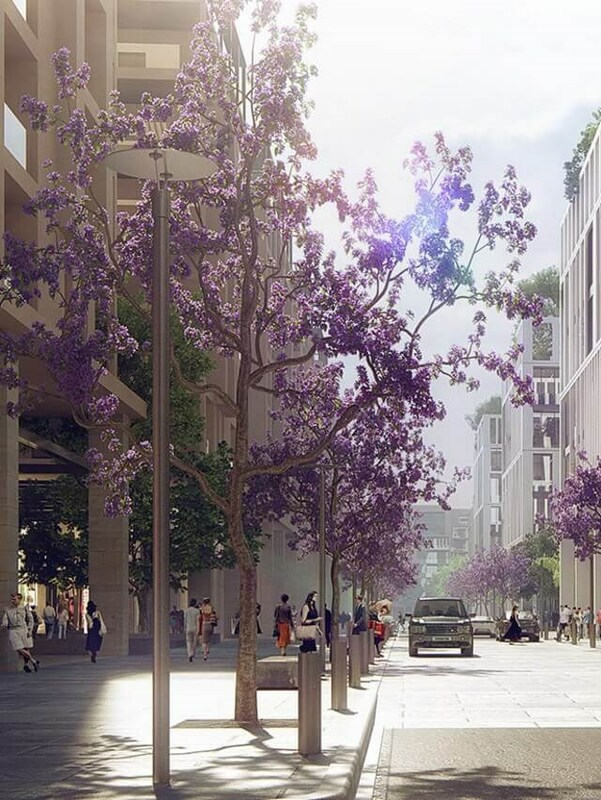 These areas will draw health-conscious shoppers from across the catchment areas, as well as the residents of the 2,000 apartments across the city. Specialty tenancies will include food, general stores, and medical, pharmacy and holistic health services.